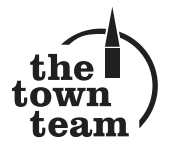 The Town Team is a team of people with an interest in business and community in Downham Market. Business owners and community minded people who live and work around Downham Market now have a new way to get together and encourage/be involved in change and improvements to the area. A simple registration form is available from the drop-down menu at the top of this page; no great commitment or money is involved and you will get e-mail updates and an invitation to Town Team meetings. Meeting and discussing key issues which affect the town; a number of public sessions were held in the Town Hall and saw this group being officially formed – the Downham Market Town Team. Now chaired by Simon Prior of Framin’ Art, a High Street business, the group plan to meet once or twice per year and to implement ideas to benefit and improve the town. Most communication is conducted online via e-mail. The last meeting was held at Timbers on 25 June 2014 and was of particular interest as there was a presentation describing the plans for a major business and educational development on the old RAF Downham Market site at Bexwell. Other areas discussed were car parking and the proposed Neighbourhood plan for the Town. Minutes are published below and members can see more in-depth discussion on the Town Team forum. If you have not joined, why not sign up now for more information it only takes a minute.